Inspired by the rawness of this minimalist shade, the new warm Pebble finish of our Bauhaus Celeste furniture range brings a new dynamic to bathrooms whilst also offering an alternative look to current grey bathroom schemes. Merging contemporary lines with soft natural tones, the Celeste Basin Unit is finished in genuine ash veneer, with a subtly curved surface that beautifully depicts the wood’s organic graining for a truly modern appeal. 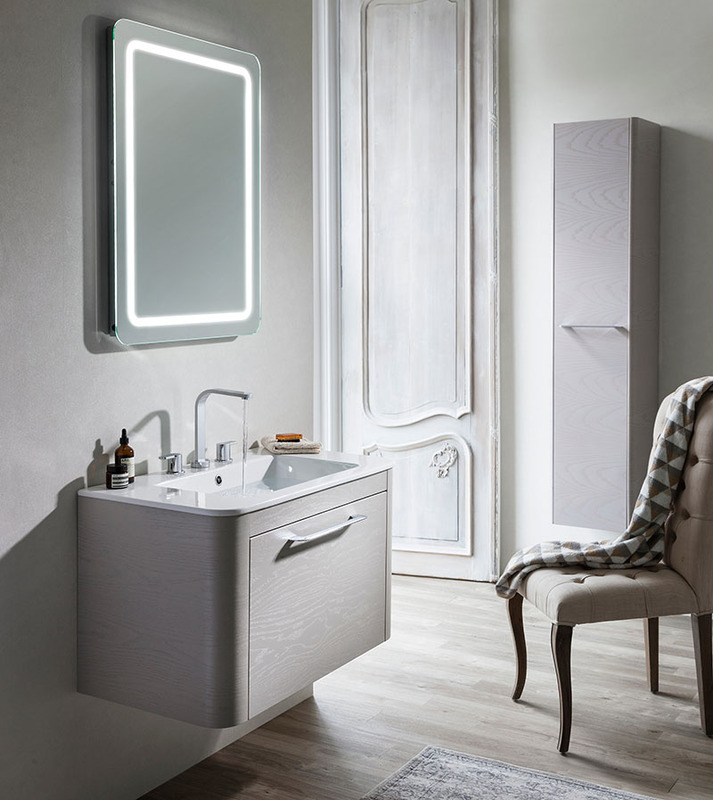 Featuring a high lustre gloss and organic, curvaceous design with soft close drawer and door closing, you can also complete the look and help to brighten up grey bathrooms with our Celeste 100 Back Lit Mirror. From cool and calming hues to dark and chalky shades, we’re sure we will not be the first to admit that we’re still not over grey in interiors! 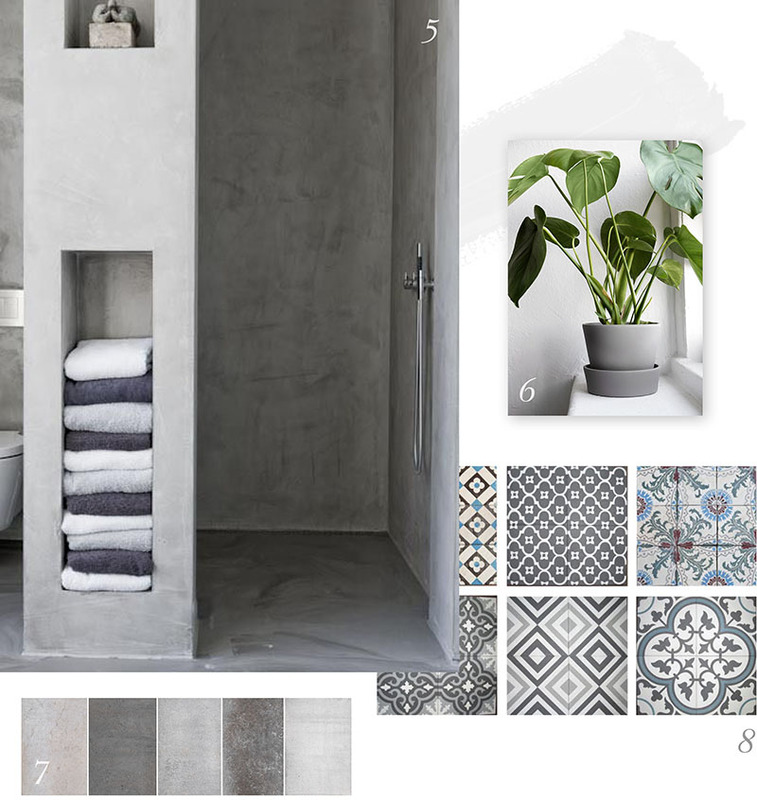 So as we move towards 2017, we’ve put together a selection of inspirational bathroom ideas that will help you incorporate a touch of beautiful botanical style within grey décor schemes – the perfect way to freshen up interiors’ go-to hue. 1) Keep it nice and neutral in the bathroom with our Celeste 80 Unit & Ceramic Basin. 2 & 3) Update bathrooms with a touch of greenery! As seen on BLOGLOVIN’ and Town Hall Hotel’s Instagram, houseplants are a great way of bringing the outdoors in and ensuring interiors remain cool and crisp. 4) Mix and match botanical style with contemporary geometric prints, the perfect complement to our Click Opening Bath Screen. 5) Multiple shades of grey are a great way of adding texture to neutral bathroom schemes; choose an array of different coloured towels to prevent interiors from appearing too drab and create a more contemporary look. 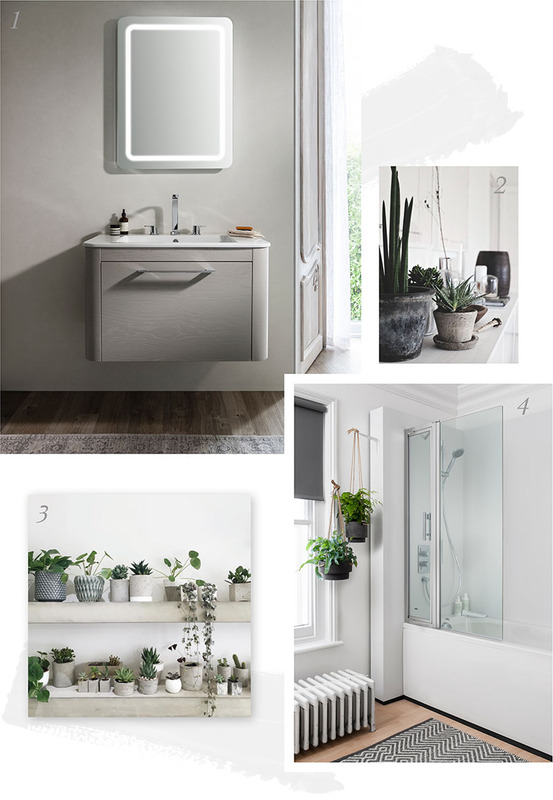 6) Go mad for houseplants and introduce must-have minimalist shapes into your bathroom to create a truly on-trend look. 7) From concrete colourways to nearly neutral tones, carefully consider your existing bathroom fixtures and fittings to help find your perfect shade of grey! 8) Looking for traditional style? My Paradissi suggests these beautiful grey antique tiles from Jatana Interiors to complement classic bathroom schemes perfectly.